Mandrem beach is one of the white sand beaches of North Goa, about 20 KMs from Calangute. One of the few islolated beaches of North Goa, Mandrem beach is lovely beach with clean white sand. 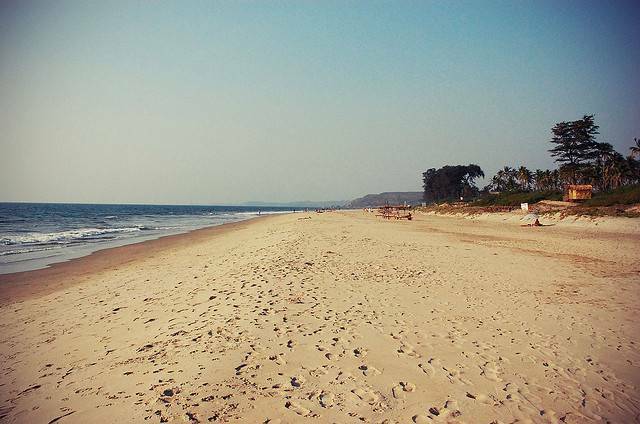 If you walk on this beach, after a few kms you'll reach Arambol beach. There are a few restaurants and shacks on the beach, and it is not very crowded, all of it makes for a comfortable and relaxing holiday in Goa. Best time on the beach is early mornings or late evening during sun set.